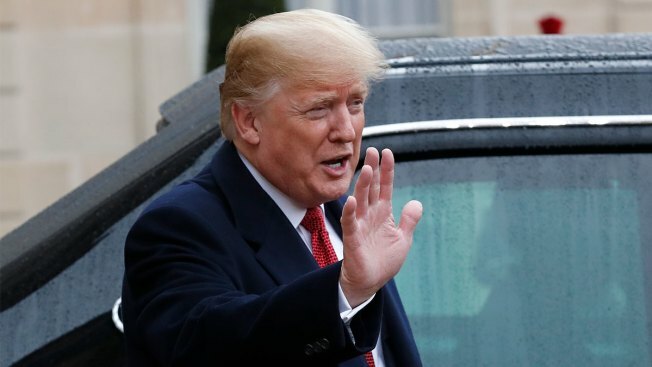 President Donald Trump gestures outside the Elysee Palace after his talks with French President Emmanuel Macron in Paris, Saturday, Nov.10, 2018. As several key contests across the U.S. remain close, President Donald Trump has zeroed in on Florida, making a slew of unsubstantiated claims about "forged" ballots and "found" votes, NBCNews reported. "Trying to STEAL two big elections in Florida! We are watching closely!" he tweeted this weekend, referring to the extremely tight Senate and governor's races, which have been forced into a recount. There is no evidence of widespread fraud or forged ballots in the state, election observers and law enforcement said.